Hydraulic Cylinder Piston offered by us are tested by our quality team on various quality parameter on various parameter. These equipments are widely applicable in different Hydraulic equipment like Borewell & Earth moving. We do not make compromise in terms of quality and so we use high grade components for the assembly of these pistons that assures our clients with reliability and resistance from degradation. 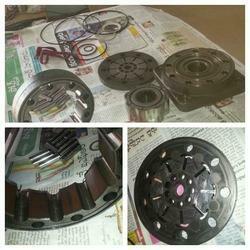 These equipments are available in different grades and dimensions as per the requirement of the clients. Enriched with vast industrial experience, we are involved in manufacturing and supplying a wide range of Vane Pump spares. 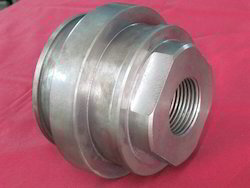 These are designed and developed as per international industrial standards and widely recommended by various numbers of clients owing to its sturdiness and rough and tough usage, our vane Pump spares are widely demanded by large number of clients owing to its robustness and consistent performance. Looking for Hydraulic Cylinder Piston ?